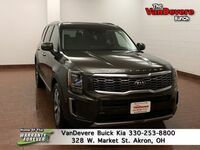 Are you looking for a large SUV with room for the whole family? There are two new three-row SUVs that have seating for eight with the Telluride from Kia and the Ascent from Subaru. 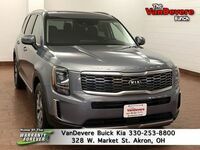 Find out which one is right for you with our 2020 Kia Telluride vs 2019 Subaru Ascent comparison.  To start with, a note on appearances. The Telluride is a masterfully done SUV that looks both bold and modern. The Ascent looks more like an SUV that Subaru would have designed a decade ago even though it is a brand new model. Looks are not the only thing that the Telluride has on its side. 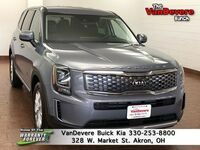 Keep reading to learn more about how these two models compare or click the link below to see the new Telluride inventory that we have at VanDevere Kia in Akron, OH. Which three-row SUV is better: Telluride or Ascent? You want power under the hood of your three-row SUV. Luckily the Telluride comes with that power standard. With its 3.8-liter V6 engine, not only can it pump out 291 horsepower along with 262 pound-feet of torque, but it can tow 5,000 pounds no matter which trim you select. That’s 3,000 pounds more than the Ascent can handle standard. Just because an SUV can handle eight passengers, doesn’t mean it should. That’s the case with the Ascent which only gives you 153.5 cubic-feet of room for its eight passengers. The Telluride gives you nearly 25 cubic-feet of additional space over the Ascent for the same number of passengers. To put that in perspective, on average, the Ascent only provides about 19 cubic-feet of room for each passenger. Cargo room is an important consideration for any large SUV, and the Ascent gets off to a bad start right away with just 17.6 cubic-feet of cargo room behind the rear seat. The Telluride provides nearly 20% more room in back. If you fold the third-row seats down, the Telluride cargo room expands to 46 cubic-feet. Folding down the second row too yields even more room. Now you have 87 cubic-feet of cargo room to play with inside the Telluride.